Thank you for your interest in Express Route 300. The fastest route between Brentwood and BART, with only 4 stops along the way. Route 300 drops you off right in front of the BART station, just steps from the entrance. We are glad you have chosen Tri Delta Transit to help make your commute easier. 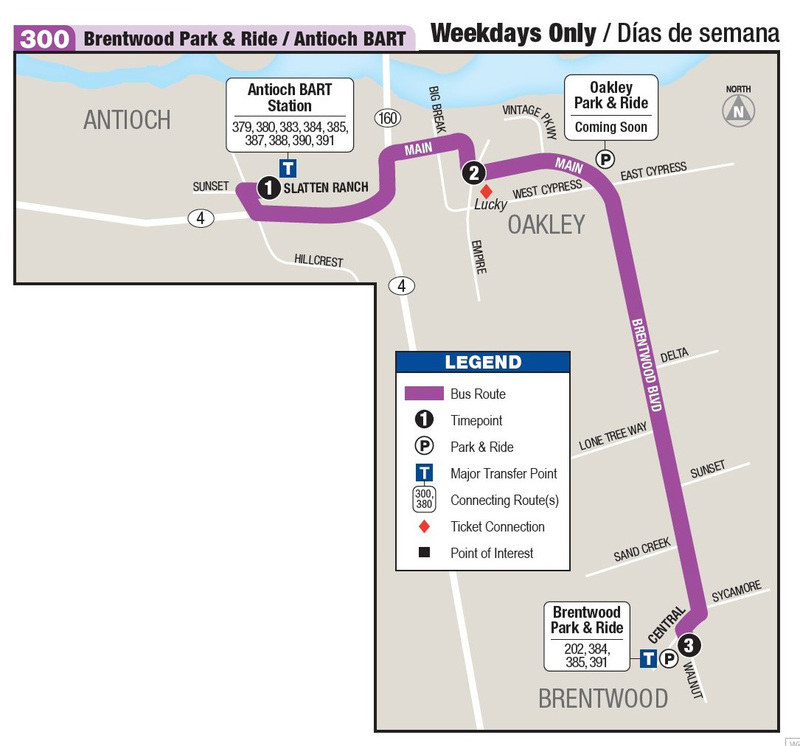 Route 300 provides service between Brentwood and the new Antioch BART station. If you live in Antioch, you may want to consider one of our 14 local routes that serve the Antioch BART station. After completion of this form, you will receive two free one-way ride Express Route 300 tickets in the mail. The Express Route 300 Free Trial is limited to one offer per household. Duplicate form submissions will not be processed.